Mum and Theo joined the latest adventure to visit a ship wreck. It is one that had featured on these pages a couple times. 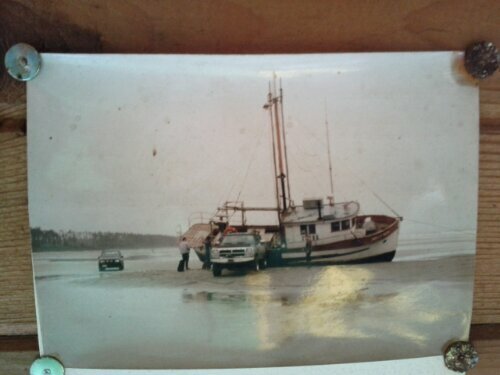 This time I have included a shot of what the Kelly Ruth looked like the day it ran aground in 1994. 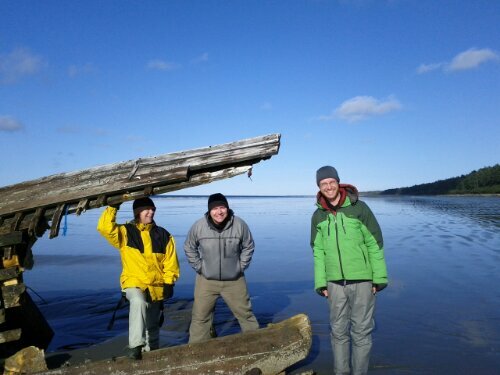 This entry was posted in Haida Gwaii and tagged Arwen, Kelly Ruth, Naikoon Provincial Park, shipwreck, Theo. Bookmark the permalink.